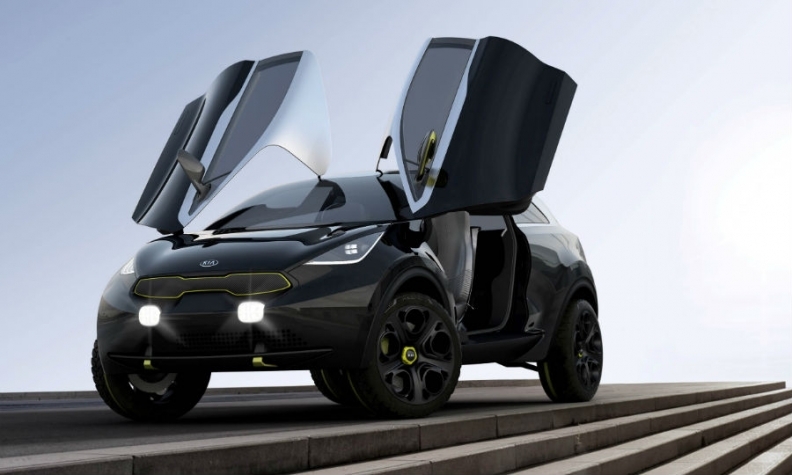 The Niro has eye-catching scissor doors. Kia is muscling up for the Frankfurt auto show with the Niro concept that hints at a possible rival to the Nissan Juke. The Niro will preview an innovative new powertrain when it is unveiled at the show on Sept. 10, Kia said in a statement. The Niro looks like a Rio subcompact on steroids. It sits higher, with bigger wheels and only two doors. It's painted in black with yellow and stainless steel accents. 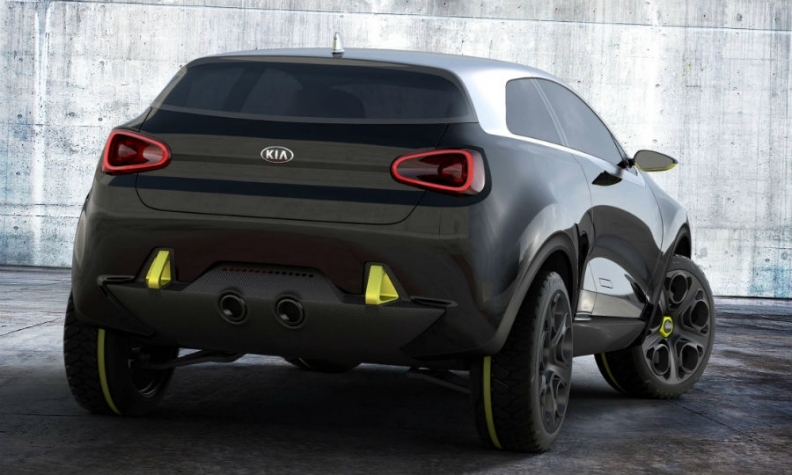 Kia says the Niro concept is "ready to take on the urban environment with style and tenacity." It has scissor doors that are unlikely to be part of a production vehicle. The car was styled at Kia's Frankfurt studio, near the Frankfurt show grounds. Kia's chief designer in Europe, Gregory Guillaume, created the concept. The Niro combines a 'mischievous character in a robust and substantial yet stylish body shape,' Kia says. Kia says the concept was built in Europe, with European tastes in mind. The company will reveal the concept in Frankfurt to gauge potential customer interest. If built, the concept would fill in a gap in Kia's model range and give it an entry into a fast-growing niche that automakers are rushing to join. Recently introduced subcompact SUVs include the Opel Mokka, Renault Captur and Peugeot 2008.